The Mobile World Congress was used by Phone manufacturers to display their latest products and use the opportunity to bask in the limelight. One thing worth noticing from MWC 2013 was that many phones were announced, but the operating system on almost all phones was Android save the Nokia's announcement of its entry level phones Nokia 105, 301 and the mid level Lumia 720 & 520 Windows Phone. Will it be the same in MWC 2014. I beg to differ. The Mozilla's Firefox OS is entering the smart phone OS in a big way and next MWC may see as many as 20 different phones featuring Firefox OS. As of today the smart phone OS market is dominated by two biggies iOS and Android. But tomorrow may not be the same. 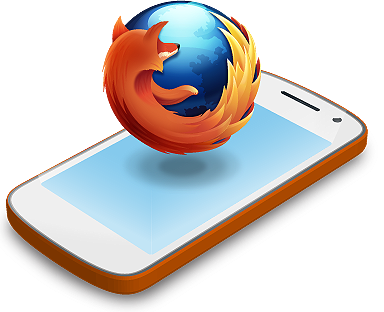 Mozilla had announced its intentions to enter into the smart phone OS markets in July 2011. While iOS has a closed wall development architecture, Android is bit more open sourced. But Firefox throws the gates open with this OS for developers. The basic idea of Mozilla guys is to let you users use the App without downloading it. This sounds to good to be true but its possible with HTML5 integration. "We're taking [the Web] to mobile" announced Mozilla CEO Gary Kovacs at Mobile World Congress in Barcelona. The more you think about it the more realistic it seems. Just look at it from my point of view. I want to play Angry Birds but I have to download the entire game on my phone to play it. Imagine If I just had to tap the Angry Birds icon on my mobile phone, the phone will communicate with the server and load the game for me, I play it, save it, share scores, chat and send messages along the way. That's just superb. Though Angry Birds may be very far off on the Mozilla radar, AccuWeather, Airbnb, Box, Cut the Rope, Disney Mobile Games, EA Games, Facebook, MTV Brasil, Nokia HERE, SoundCloud and Twitter have already confirmed their participation in the OS integration. Facebook and Twitter being Web based Apps will have a unique advantage of the OS which may further open some revenue streams for them. Among the phone makers ZTE and Sony have already announced their plans to launch the Firefox OS phones by July 2013 and rest will follow. Samsung has steadfastly refused to join the Firefox bandwagon but like politics smart phone OS can make strange bedfellows. What in it for users, cheaper phone, for use of the memory for the device needs and extra integration with the web. The less memory the Apps take, the more movies and music can be stored on the phone and memory card. The modders and flashers will have their piece of cake too, with Firefox's open ended architecture, it will be easy for them to enter into the kernel of the phones and do their stuff. The developers can make the impossible Apps seem like a easy thing with HTML5. All this is possible if the users like you and me make Firefox OS a success. So iOS and Android have a new competition, and Nokia I think should adopt this OS for its own survival. Anyways MWC 2014 may see a lot of Firefox OS phones launches along with Tizen and Ubuntu powered phones. The OS market is in a churn and the winner as always will be us users. So let the best OS win. 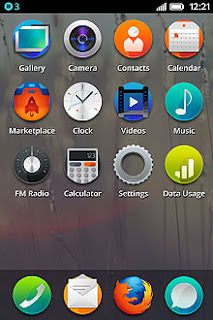 Please post your comments regarding the Firefox OS and share it with others. Sony has given you readers a chance to load and experience the customized Firefox OS for your Xperia E. If you own a Xperia E download the OS by going to Sony Development Site. It is about time for Mozilla to venture new grounds and the smart phones OS seems to be a good move. I am definitely looking forward to the new OS and I hope it provides a good experience like Firefox Add-on Builder and SDK. Keeping the fingers crossed!